Edward Theodore "Ed" Gein (August 27, 1906 – July 26, 1984) was an American murderer and body snatcher. His crimes, committed around his hometown of Plainfield, Wisconsin, gathered widespread notoriety after authorities discovered Gein had exhumed corpses from local graveyards and fashioned trophies and keepsakes from their bones and skin. 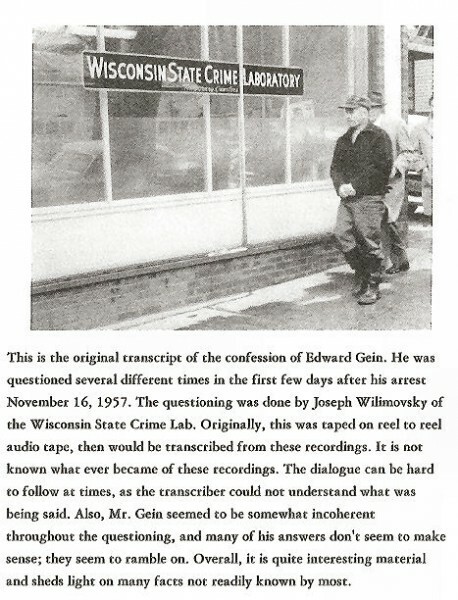 Gein confessed to killing two women – tavern owner Mary Hogan on December 8, 1954, and a Plainfield hardware store owner, Bernice Worden, on November 16, 1957. Initially found unfit for trial, after confinement in a mental health facility he was tried in 1968 for the murder of Worden and sentenced to life imprisonment. His case influenced the creation of several fictional killers, including Norman Bates of the film and novel Psycho and its sequels, Leatherface of the The Texas Chain Saw Massacre films, Buffalo Bill of the novel The Silence of the Lambs, Ezra Cobb of the film Deranged, Bloody Face from the second season of the TV series American Horror Story, and Eddie Gluskin of the video game Outlast. 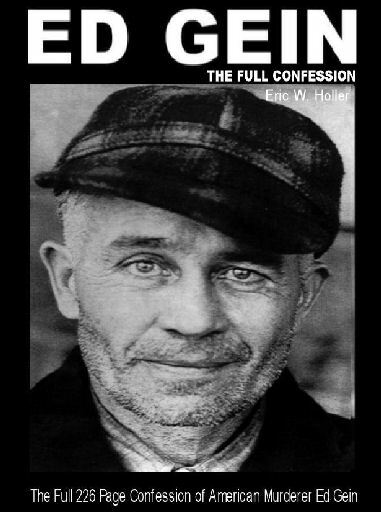 226 page Ed Gein full confession instant digital download on .PDF file format. If you do not see the email with the download link please check your spam folder. If for any reason you did not receive the email please email us at admin@serialkillersink.net and we will immediately provide you with the download link.